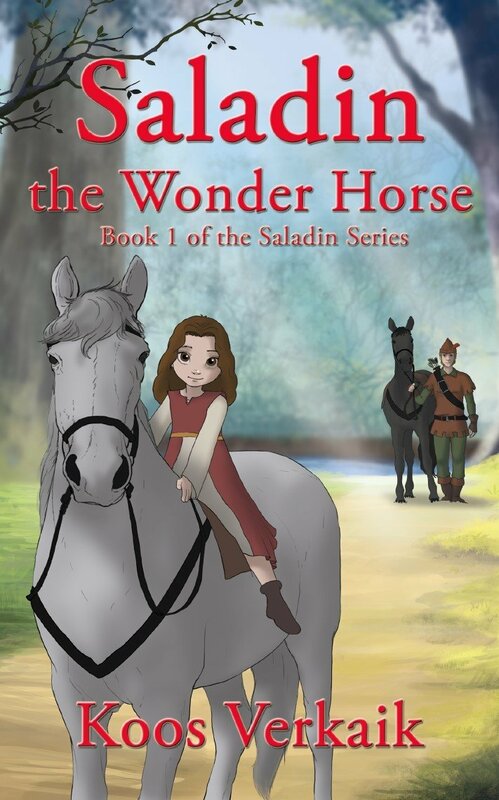 What is more heart-warming than the adventures of Angie, a little girl, and her love of a young stallion, Silver, as she tries to save him from the evil prince. It is a rough time in England, where Prince John sits temporarily on the throne of his brother, Richard the Lionhearted. When Angie, a poor Saxon girl, who takes care of the horses for Lord Baltimore, attempts to save her beloved colt, Silver, she is plunged into a series of wild adventures as she tries to keep a colt out of the greedy hands of the prince. While on the run, she meets a mysterious knight who grants her his horse - Saladin, a magical black stallion from a faraway, unknown country. This wonder horse teaches all his tricks to the beautiful young stallion Silver. The strange knight has a very important message that he believes only Angie and Saladin can deliver to Robin Hood. With the two faithful animals, Angie manages to reach the camp of Robin Hood, bringing him the important message that could save the kingdom. But, it is not that easy as Angie tries to outsmart Prince John and his men. And of course, she cannot achieve that without her special horses…and some very special friends.